We're ready for another great month of fall lunch favorites! 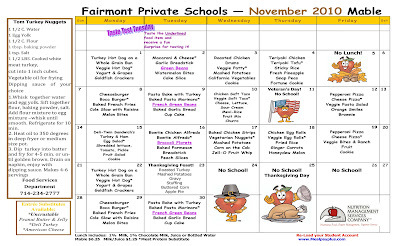 Check out our November 1st-3rd Grade Menu and our November 4th-8th Grade Menu to see all the delicious and nutritious meals Nutrition Management will offer. Happy November!